3 attributes for jobseekers today & the future according to Virtusa COO, Keith Modder « Tech bytes for tea? In this fast-paced, fast-changing world, what are the attributes that employers look out for in potential employees? Here are three that Chief Operating Officer of Virtusa – Keith Modder – looks out for when he recruits. Roger Keith Modder has been an Executive Vice President & Chief Operating Officer of Virtusa Corp since May, 2011. Photo: Virtusa. Virtusa is a global IT consultancy & outsourcing services corporation headquartered in the US with offices across four continents and delivery centers in around the world. The company’s COO, Keith Modder was in Singapore yesterday to inaugurate the opening of a new technology centre at its regional headquarters here. One of the aims of enlarging the billion-dollar company’s business footprint is to enhance recruitment of local talent by tapping into the talent pool generated by the universities here. I spoke with him when he was in Singapore and he shared his thoughts (see below) on what he looks for in a potential employee. 1. On what he feels are important attributes for employees. In this age when technology changes so rapidly, it’s less important what the potential hire already knows. Rather, what’s critical in the modern day employee is his/her trainability and learnability. The ability to learn new things fast and pick up new skills quickly. 2. On the key to success for a developer. Nowadays, everything is so readily available – eg. software-as-a-service, platform-as-a-service etc. Anybody can set up an app or a platform within a very short time. The secret sauce for success is therefore in Design Thinking. The ability of the developer to design how to put all these components together in a way that solves the problem at hand. That’s not something that can be easily replicated or automated. 3. On whether millennials are more suitable than Gen Y or Gen Z employees. It’s not their age that matters but rather the age that we live in. Whoever is able to adapt to the times will thrive. So if you’re a Gen X who can embrace the technologies and mindsets required of today and the future, you’ll be more successful than a millennial who can’t. So there – something to mull over to put yourself in a better position before going for the next job interview. 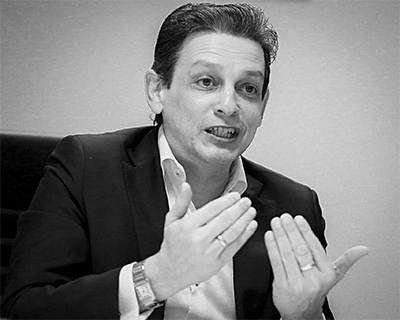 Prior to his current appointment in May, 2011, Keith Modder was the Executive Vice President Global Services and President of Asia at Virtusa Corp. from October, 2008. Modder presently leads Virtusa’s Advanced Technology Centers in Colombo Sri Lanka and in Hyderabad and Chennai, India. He is also an Executive Council member of the Software Exporters Association of Sri Lanka and a member of the Board of Directors of the Lanka Open Source Foundation. Photo: Virtusa. Before that, Modder served as the Managing Director of Asian Operations and Executive Vice President at Virtusa Corp. from 2001 to October, 2008. Modder has more than 20 years of experience in the IT industry. 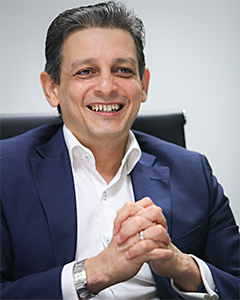 He was previously Managing Director of John Keells Office Automation and Keells Business Systems Ltd., two IT/OA solutions companies in the John Keells Group. Modder built these companies – which represented IBM, Cisco, Lucent and Toshiba – to become market leaders and profitable ventures within the John Keells IT sector. In more than eight years within the John Keells Group, Modder was one of the youngest to be appointed to the post of Managing Director. Before Keells, he was with DMS/WANG for nine years. This entry was posted on Saturday, October 21st, 2017 at 12:48 am and is filed under Business IT, Enterprise IT, Events, events, Interview, Launch, Opinion, Profile, Software, Virtusa. You can follow any responses to this entry through the RSS 2.0 feed. You can leave a response, or trackback from your own site.